If your thinking of a condominium, in the Fort Lauderdale real estate market, Harbor House Coop, along the intracoastal in Pompano represents a great value. Read more about Harbor House at 201 North Riverside Drive, Pompano Beach FL. 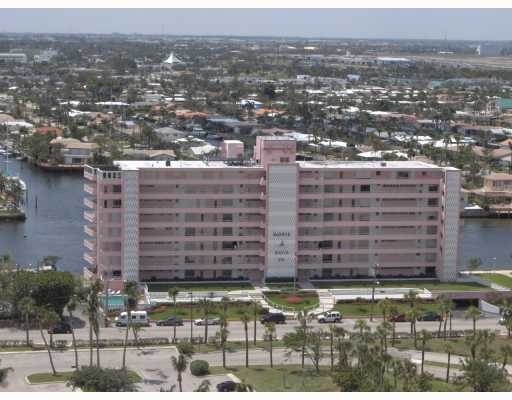 Direct Intracoastal views and some ocean views from this 8 story building of only 46 units. Harbor House features larger units than the standard in the Fort Lauderdale Real Estate market. Harbor House sits directly across the street from a lovely Pompano Beach Park. Many units is the building have already been updated with impact glass. It is a a well runned property with a historically low maintnance fee. The building is just a block to the beach, close to a marina, shopping, banks and restaurants. At Eric Miller and Associates, "We're here to help" with your next Harbor House purchase or sale. Contact us directly at (954) 383-8170.